All businesses should be using an email service if they’re going to send communication out to an email list. There are many to choose from, so we’re highlighting the three best platforms for email that we’ve used. Not only will an email platform help keep your email list organized and clean (they clear out bad email addresses and bounces), but it also makes you look professional. These email platforms will also help you collect email addresses through your website. Overall, MailChimp is our favorite email service because of the free (or low) pricing, the included analytics, and the ease of use. MailChimp is a WYSIWYG service (What You See Is What You Get) which means it’s incredibly easy to set up a beautiful email without having any knowledge of HTML or CSS. 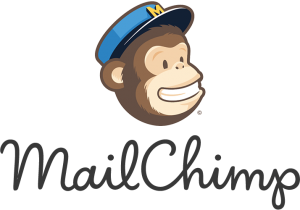 MailChimp is FREE if you have fewer than 2,000 emails on your list, and will send no more than 12,000 emails per month. That means that if you have a list of 1,500 subscribers, you can send 8 emails per month. If you have more than 2,000 emails, or plan to send emails more frequently, paid plans start at $20. MailChimp integrates with many different platforms, making it easy to capture email addresses across social platforms and websites. It also works with sites like Eventbrite so you can use it with event ticketing. Constant Contact is another WYSIWYG service, and is fairly simple to use. The pricing begins at $20/month for 0-500 subscribers, and increases to roughly $100/month for up to 10,000 subscribers. If you’re a business that holds a lot of events, Constant Contact has a built-in ticketing system which integrates perfectly with the emails. They charge a flat rate of $45/month, so you’re not getting charged a fee per ticket sold. It’s a great option if you hold large events with lots of ticket sales. If you’re a Chamber of Commerce, you can get a free Constant Contact account. You become a Constant Contact partner, which means your members can get discounted rates to use the service, and in return you have to fulfill a marketing obligation to Constant Contact (allow them to send out emails to your list, host an in-person workshop, etc). 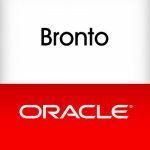 If you’re a larger business with an e-commerce site, Bronto may be the best fit for you. They offer the most integration with e-commerce websites, and work to increase conversions. They can identify abandoned carts, send follow-up emails, integrate a slew of automated sales funnel email options, produce pop-up coupons and dynamic messages on your website, and help you properly segment your customers to provide the best service possible. Many large brands use Bronto, including Brilliant Earth, Everlast, Clarks, and Lulus. They don’t include pricing on their website (which tells us it’s not cheap) but may be the best option for an e-commerce site looking to convert.